Must see to believe! Incredible remodeled single story! 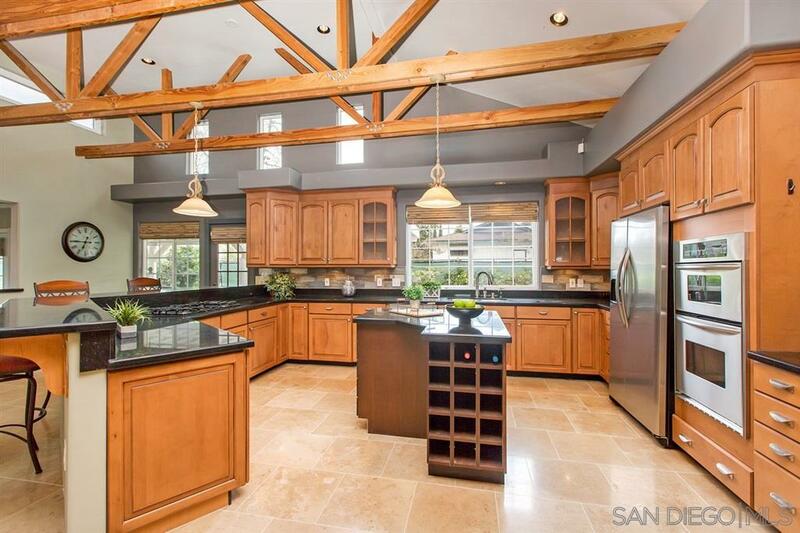 4Br, 3.5 baths, stunning great room w custom wood beams. Features beautiful travertine tile in high traffic areas, wood floors, crown molding, upgraded baseboards, newer dual pane windows, new roof & high efficiency HVAC. 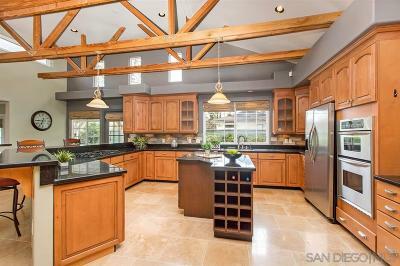 Huge chef's dream kitchen with granite counters, SS appliances, 5 burner stovetop & breakfast bar. Half acre lot for entertaining, kids to play, horses, gardening & room for a pool if desired. Country living at its finest!, Enjoy multiple outdoor entertaining areas including a cozy front patio, large side covered patio, and outdoor firepit. There is room for RV/trailer/boat parking on site, an additional detached 2 car garage currently used as a workshop and artist studio and includes a convenient half bath! Fully fenced and gated yard provides privacy and security while reducing road noise. Country living at its finest but close to shopping, schools & parks. Located in the highly rated PUSD within walking distance to Midland Elem School, Old Poway Park, post office, restaurants & shopping. Enjoy the many benefits of Poway such as the Poway Performing Arts Center, Poway Lake, Blue Skye Ecological Preserve with hiking & biking trails, Poway Community Center. Current schools are Midland Elementary, Twin Peaks Middle, Poway High School.